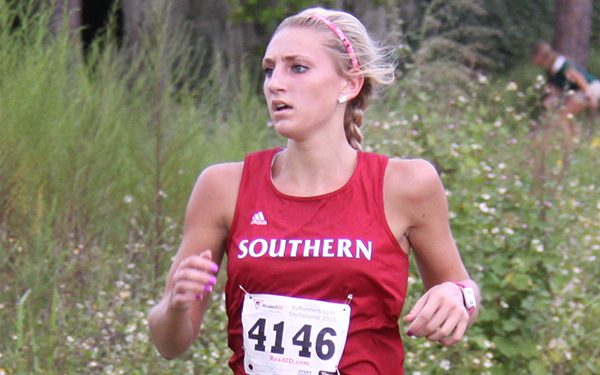 The Florida Southern College Mocs opened their 2016 track season this past weekend on Saturday, Jan. 23 at the Embry-Riddle Indoor/Outdoor Challenge. 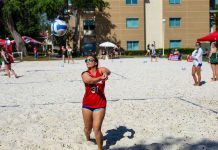 The 26 women’s and 23 men’s teams competed in the freezing 30 degree weather in Daytona Beach. 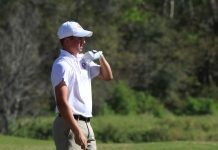 The women’s team scored a total of eight points and finished to tie in 19th place while the men scored a total of 17 points and finished in eighth place. Freshman runner Kassidy Watkins, was the top finisher for the women and received a time of 5:47:70 at the finishing line of the 1-mile run, putting her in fourth place overall. This finished placed Watkins as the fourth fastest track runner in school history. Freshman Hannah Nelson, led the Mocs in the 800-meter run with a time of 2:39:85 and also finished in 13th in the 3,000-meter run with a time of 2:45:19. The women’s team started the season with a new coach, Coach Stephanie, who helped the team during the cross country season, but is coaching this track season all on her own. “It’s been a big change, but a great one. She’s very understanding and we can always reach her any time of day, she’ll always be there for us. She definitely wants us going in the right direction and is very motivating,” junior Julie Roggeman said in regards to the new coach. The men also went on to break records of their own. The men’s 3,000-meter run was led by freshman cross country star, Dean McGregor with a time of 9:15:50 and a fourth overall finish. FSC claimed three of the top eight spots in this event, the others were senior Jose Perez (9:16.33) and junior Cody Van Natter (9:24.96). Two Mocs on the men’s track team made the Top 10 in the 1,000-meter run, making school history. Senior Zach Hall came in ninth with a time of 2:47:21 and sophomore John Bryant came in tenth at 2:48:12. These times earned Hall and Bryant the sixth and seventh fastest times in the 1,000-meter run in school record, respectively. The next goal for the Mocs is to perform just as well, if not better, at their next meet coming up on Feb. 20 at the Gasparilla Distance Classic in Tampa and the Embry-Riddle Last Chance Invitational. “My personal goals are to hit all my personal records, and to just get faster to prepare me for the cross country season,” Roggeman said. After this meet, both teams will have four more meets to reach their personal goals and to prepare them for cross country season next fall.